This week is a special ‘Stylist Pick of the Week’ because it’s been an instant hit and I’ve been drooling over it since I saw it! 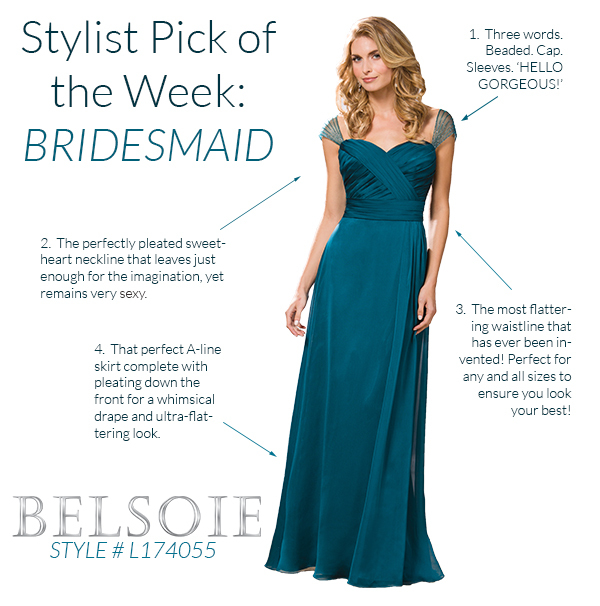 Take a look at our latest stunning style from Belsoie Fall 2015. Check out the reasons I am falling in love for Belsoie Fall 2015 style L174055 and reasons you must consider this for your girls!